Proud is not an adequate word to use when describing Jaclyn. 99% of her workout partners don’t realize how far she has come OR the amount of work she had to put in with me in private sessions before joining a small group. Two years ago I received a call from her husband asking me to help his wife. Shortly after that call I met Jaclyn for the first time. When I met her I immediately knew what she was struggling with. Her battle with an eating disorder was clear, but I allowed her to use our first meeting to open up about her struggles. I knew she needed to be the one to open up. Then I advised her to set up some private sessions before joining the small groups. In addition to setting up sessions with me, we both agreed that she would see a nutritionist and counselor…..which she did. At the time Jaclyn was so thin I was concerned about actually hurting her. We stuck with basic body weight movements and worked on addressing mobility issues that had been aggravated from excessive running…..10+ miles every day. 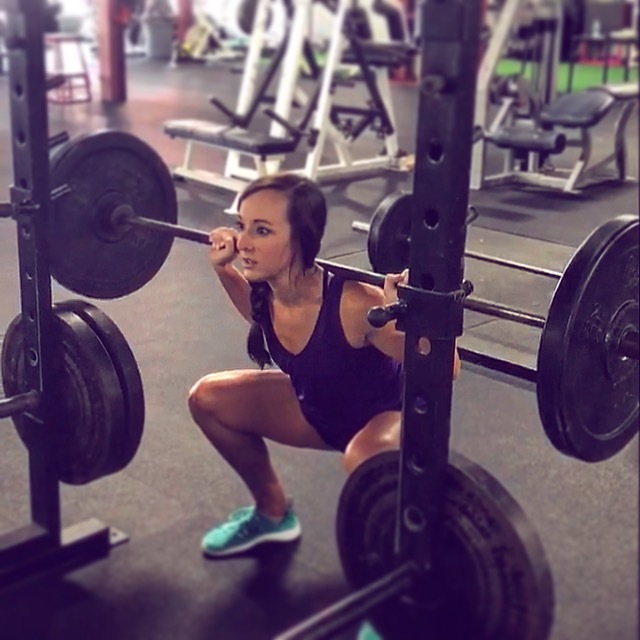 Over the next several months I saw Jaclyn begin to get stronger with the bodyweight training and over the last two years she has made enormous progress. One example that comes to mind is overhead pressing. In the beginning we had to stick with bodyweight push ups and progressed to light single arm kettlebell presses (10 lbs) and she wasn’t able to press a barbell overhead. Now she can easily double press two 12 kg (26 lbs) bells as well as push press a loaded barbell. 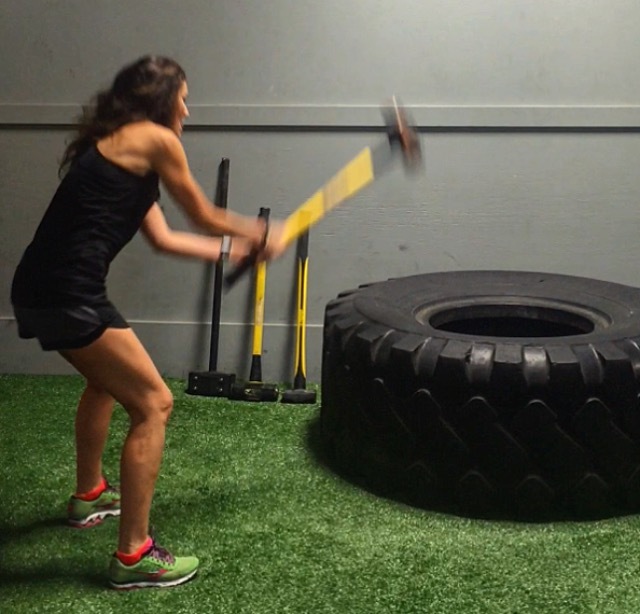 We also focused on strengthening her hips, hamstrings, and glutes by focusing on improving her squat and deadlift. 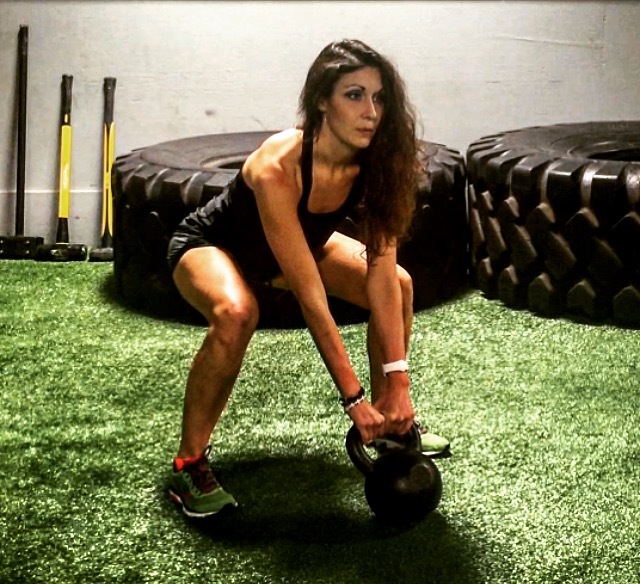 We spent months on bodyweight squats and light deadlifts with a kettlebell. Currently, she can front squat, back squat, and deadlift a loaded barbell (as well as kettlebells) safely and with heavier weights. Now….these are just a few examples of her body getting stronger. But the real change has been happening inside. I’m not so naive to think that she won’t always struggle to an extent with her eating disorder, but I’ve seen her change over time from worrying about a number on a scale to WANTING to get stronger and learn new movements. I want people reading this to know that Jaclyn isn’t just a beautiful woman….she is BRAVE and STRONG. And I hope that she finally sees just how beautiful and strong she really is. Jaclyn – keep focusing on making your body strong, be kind to yourself, tell yourself you are worth it every day, and know that I am standing behind you every step of your journey. 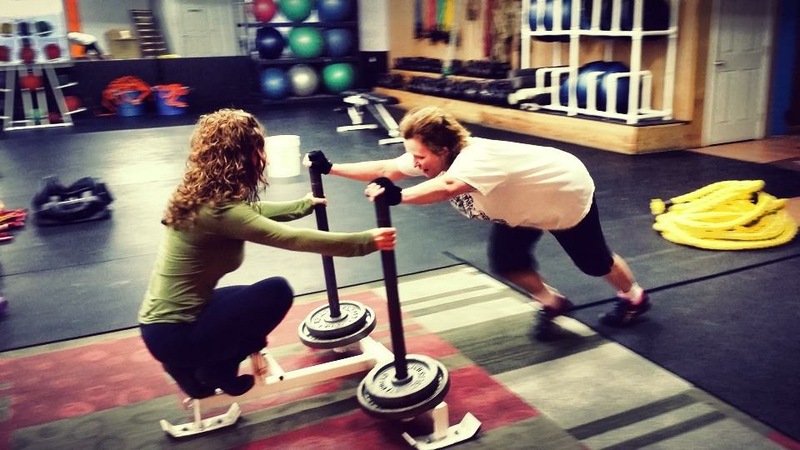 1 – When did you start training with Kristy? I started training with Kristy in the Winter of 2016. 3 – What attracted you to Kristy’s program? My husband encouraged me to join due to my unhealthy relationship with exercising and food. I knew that I needed to make a change and did not trust myself or my body enough to make that change on my own, so I needed someone to coach me into a healthy lifestyle. At the time that I joined Kristy, I was running 70 miles a week with 30 minutes of weights daily and a diet of approximately 1,000 calories. 4 – What do you feel is the number one reason for your success? The number one reason for my success is that I stopped focusing on the scale and started focusing on gaining strength. I thought that being skinny was beautiful, but once I started working with Kristy I realized that gaining strength and muscle definition is a completely different and better level of satisfaction. The goal that I am the most proud of is throwing away the scale. The number on the scale each day used to determine if I was going to have a good or a bad day. The second goal that I’m proud of is that I’ve cut my running in half and replaced it with true weight training with Kristy. It took her months and lots of injuries on my part to trust her that I did not need to run 10 miles each day. The final goal that I’m proud of is the difference that I see in the kettle bell weights that I can now swing. I started at 35 lbs. and now can do 70 lbs. 6 – What would you say to someone looking to hire a trainer? Having a trainer is important if you want to exercise correctly and see true results because the human body will try to take the path of least resistance. 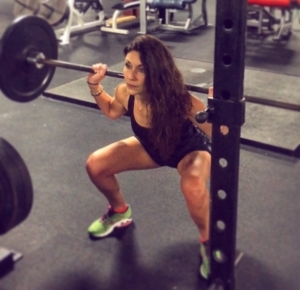 A trainer will make sure that your form, weight and reps are equal to your capabilities. 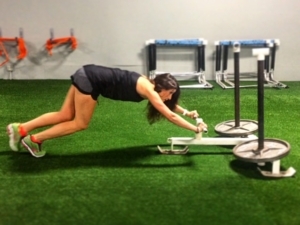 Kristy creates challenging workouts, but I will push myself to lift heavier weights or do more reps because I trust that she won’t design a workout that my body cannot handle. 7 – What keeps you motivated? My motivation is seeing improvements in my mental health that is directly related to my physical self. I am a happier person because I can see how far I have come from when I first started and where I am now- mentally and physically. I still struggle with body image, but now I have a different goal in mind when I think of a beautiful body thanks to Kristy. 8 – Any additional comments……. When I started working with Kristy I was at my lowest weight and had no real intentions of gaining weight, changing my eating or running habits. After my first month with Kristy, I was determined that I could not do it and almost quit. I could not give up my eating disorder and make the change that would be required to commit to a healthier lifestyle. Through God I realized that if not for myself, I had to change for my marriage. Slowly, I have been able to shift my idea of beauty and receive fulfillment in other ways than a number on the scale. I think that seeing beauty in other ways than by your weight is important for all women, regardless of their size.